The lip-activated valve opens when they take a sip and closes when they’ve finished, minimising mess and giving them freedom to develop new skills. 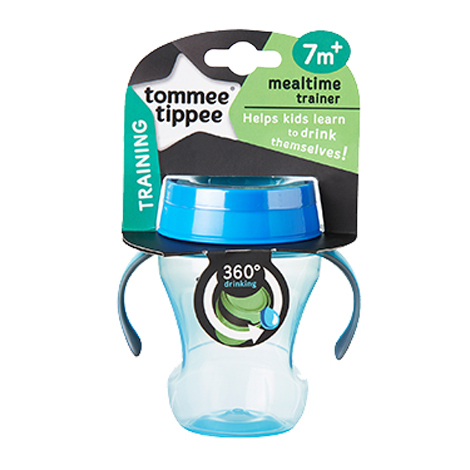 The meal time trainer is a great option for teething toddlers with sensitive gums, as there’s no straw or spout to rub on sore spots. It’s also a handy alternative if you’re little one just doesn’t get on with spouts or straws!